Gary Stein, the station and programme director at Bauer-owned Key 103, is leaving the station to take up a new role on Monday 14 January as director of music across Bauer Media radio stations. 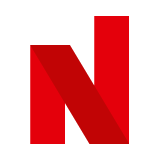 Prolific North understands that Stein, the Arqiva UK programmer of the year award-winner in 2011, will still be based at Bauer's Castlefield office in Manchester. Bauer's portfolio of Northern and Scottish Place radio stations will now come under his remit but Kiss and Magic in London will continue to be managed by Christian Smith and Sheena Mason, respectively the heads of music for Kiss and Magic. He will also be working closely with Ric Blaxill who oversees music and content across the various platforms that Bauer employs for distribution with Stein now specifically overseeing the playlists of the 16 northern English and Scottish radio stations and liaising with the local station teams. Stein joined Bauer (Emap) in 1995 in his native Scotland with his first job at Radio Clyde before moving South of the border with Emap. 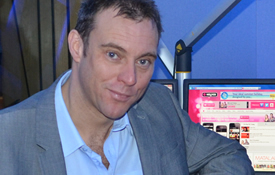 He was appointed programme director by Key 103 in 2006 and was awarded the additional role of station director in 2009 when the station director Tracey Eastwood moved across to Yorkshire to become Bauer's regional managing director. Dee Ford, managing director of Bauer Radio, said: “This transformational new role has been created to ensure that Bauer continues to punch above its weight with listener loyalty by providing the best quality music and an even better listening experience for our audiences across our Place stations. Bauer said Stein's replacement at Key 103 would be confirmed shortly.